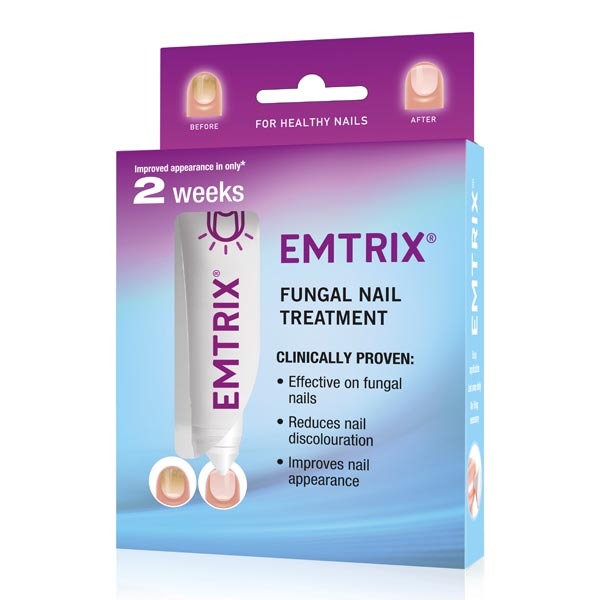 Developed by dermatologists in Sweden based upon 15 years of targeted research, Emtrix is clinically proven to rapidly improve the appearance of fungal nails - with the first signs of improvement normally seen after 2-4 weeks. Apply once a day to the affected nails, preferably in the evening, before bedtime. Safe to use by diabetics. Comes in a tube and is applied with a silicone drop tip. Normalises thickened nails. Easy to use. No filing required.